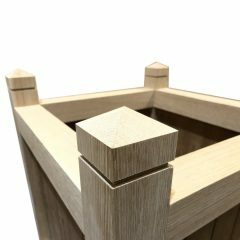 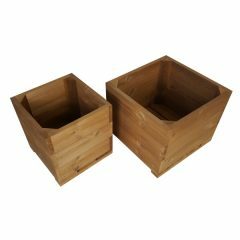 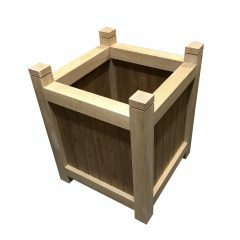 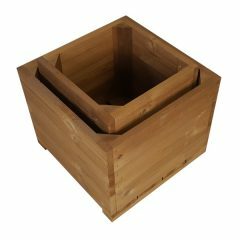 This rustically charming Thermowood Corner Square Planter Set will bring colour and life to your garden, patio or decking area. 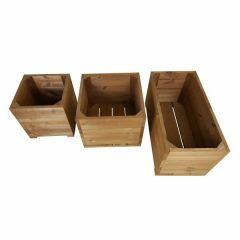 The planters are perfect for your flowers but you can also use them to grow your own vegetables, soft fruit or herbs. 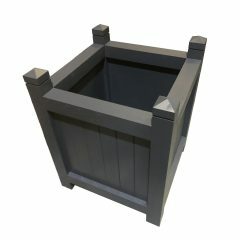 They are designed to complement corners so these planters work well in compact gardens as well as large gardens. 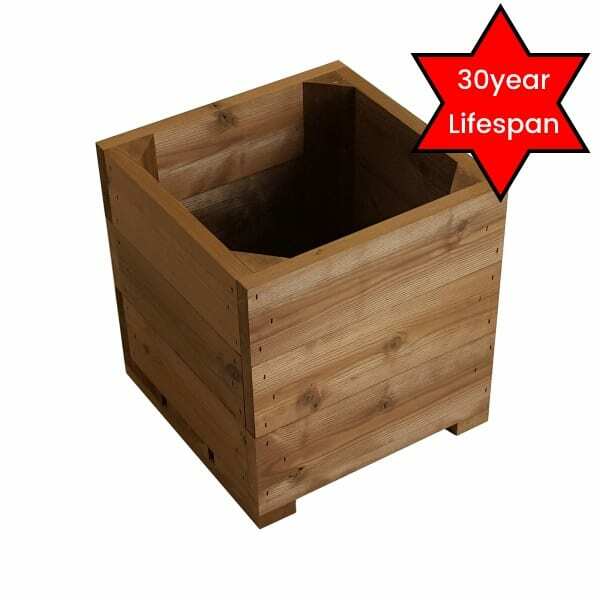 The planter set is made from thermowood and its expected lifespan is 30years. 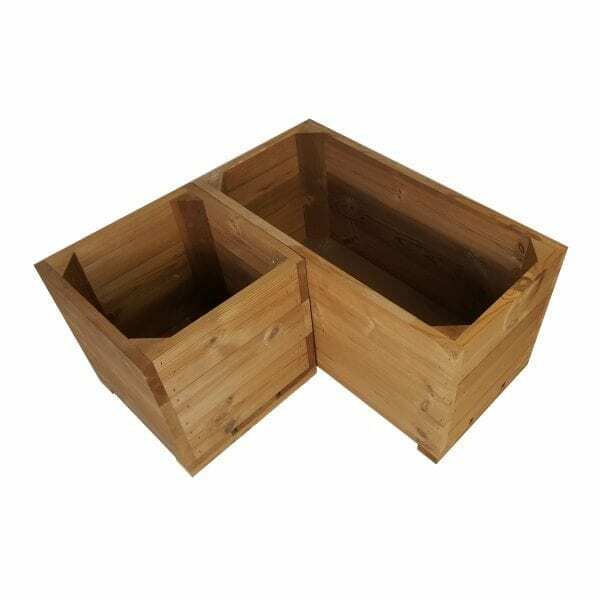 Thermowood has a number of beneficial properties including and environmental certification. 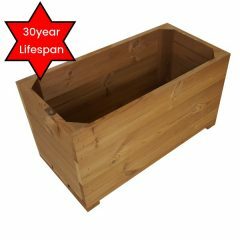 This certification ensures that it is safe for indoor use as it doesn’t have any harmful emissions (such as formaldehyde). 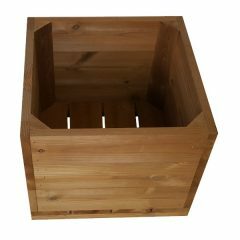 For more information on Thermowood click here. 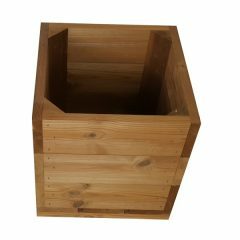 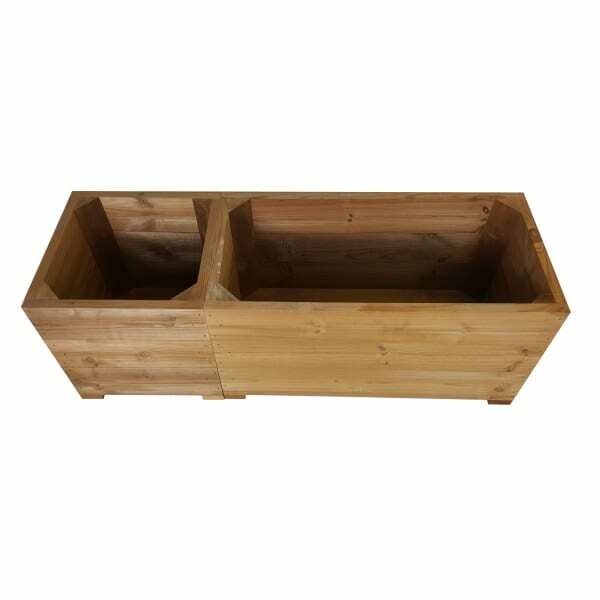 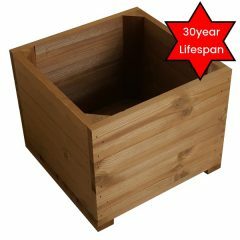 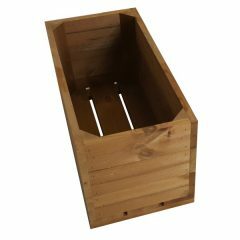 The corner planter set is made up of the Small 31cm Thermowood Square Planter and the Thermowood Square Trough Planter. 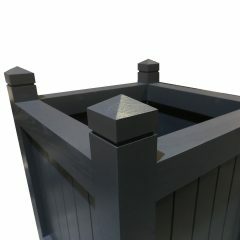 The smaller square planter sits perfectly on the small stained square pot stand and the small painted square pot stand.